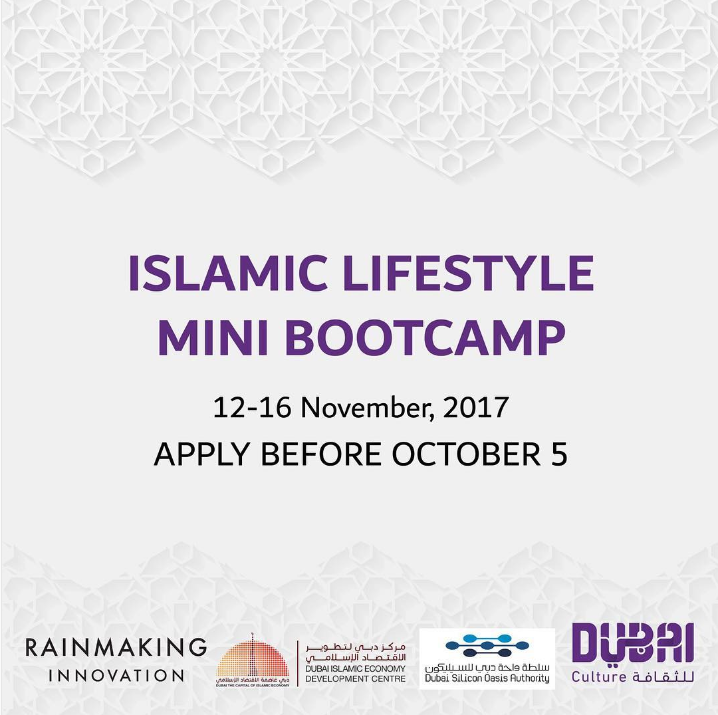 Dubai Culture, in partnership with Dubai Silicon Oasis Authority, Dubai Islamic Economy Development Centre and Rainmaking, is selecting a small number of startups to join the 'Islamic Lifestyle Mini Bootcamp' taking place in Dubai from 12-16 November, 2017. The 5-day intensive entrepreneurship training programme provides early stage startups with the right knowledge, skills and hands-on tools in order to accelerate their businesses. We are looking for startups that are shaping muslims’ everyday lives and creating the future of Islamic Lifestyle. Application deadline is on October 5th.